Dobson Ranch is located east of Phoenix in Mesa, Arizona. Dobson Ranch is a beautiful "master planned community" containing many wonderful neighborhoods from which to live. 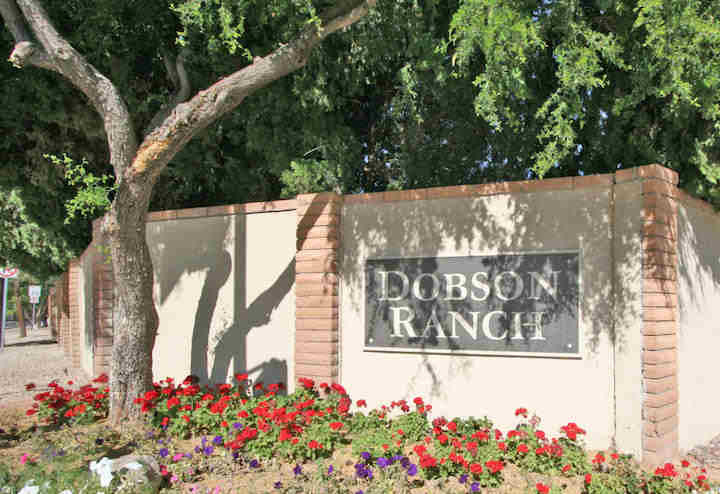 Dobson Ranch offers; clubhouses, community pools/spas, tennis courts, racquetball, volleyball, kids water park, biking/walking paths located along the lakes and near shopping, schools, freeways & golfing. Below are all the latest listings for sale in Dobson Ranch. Our Russ Lyon Sotheby's Luxury Home specialists can guide you through the current inventory and help you find the perfect home in Mesa. To set up a private tour of any home you see here contact us at; 888-316-4622.